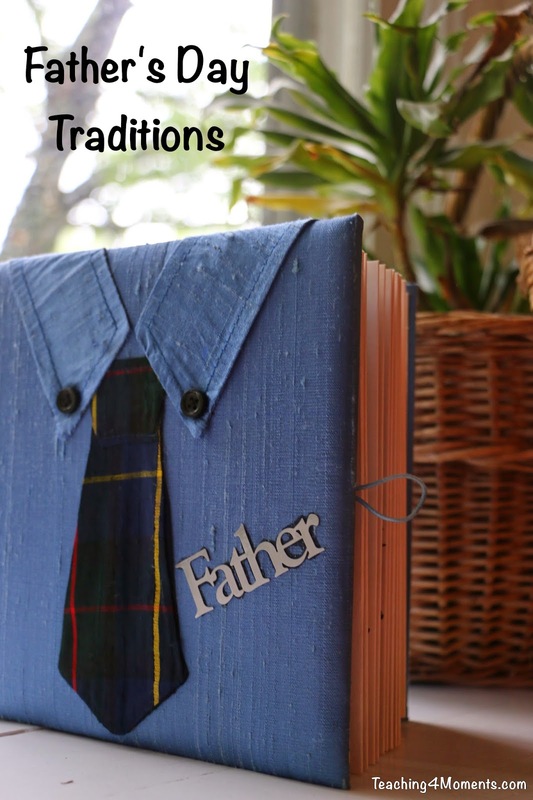 This year, why not start a new tradition for Father's Day? 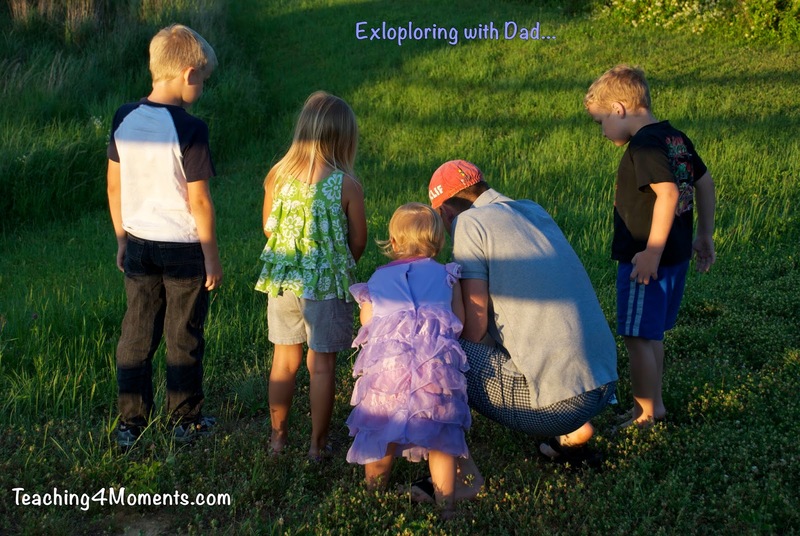 Here are a few ideas to get you thinking about a new Father's Day tradition you can start this year! I love family traditions. They give families an identity, a fun way to be creative, a bit of structure, and something to look forward to each year that encourages us to keep making new memories. ...about 2 years old I started our particular Father's Day traditions. It's definitely never too late to start new ones! 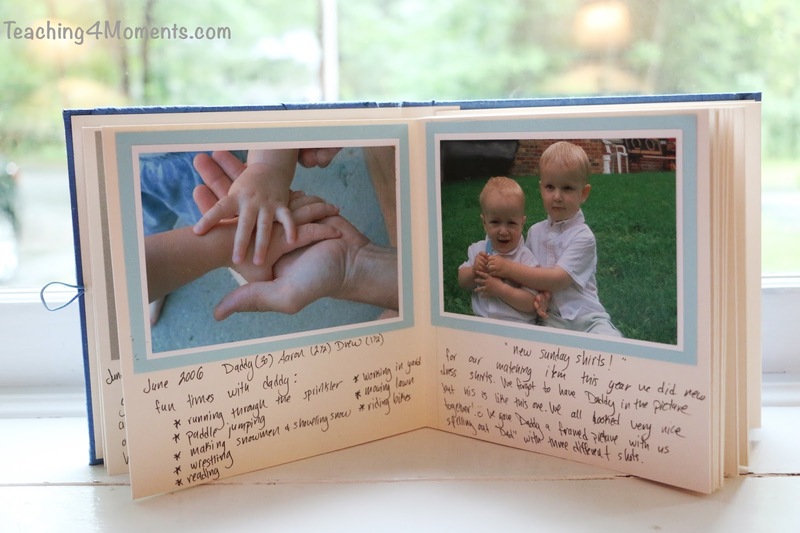 I have an accordion style, Father's Day photo album that I bought to document the yearly event. It's pretty simple and all that I have to add each year is two pictures and a bit of writing. My kids and husband have loved it. Take a yearly picture of your husbands hand with his children's hands. 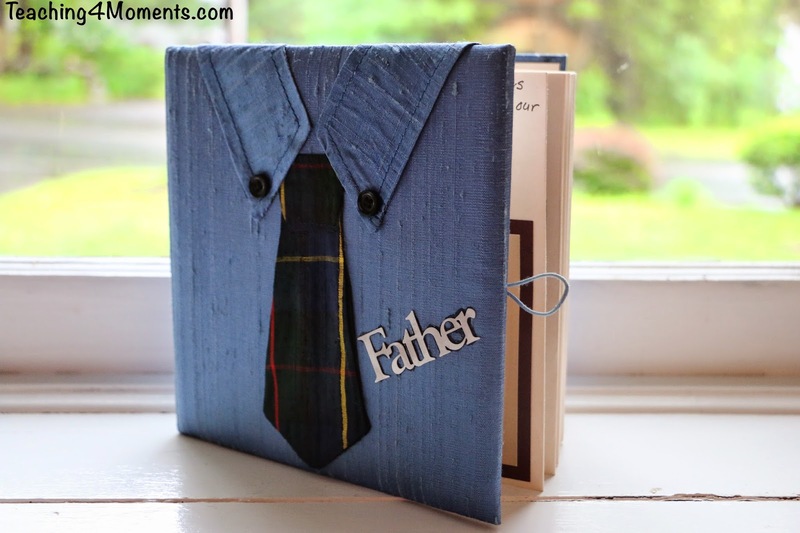 The second part of our tradition is that with whatever gift we decide to give Dad, I always try to come up with smaller gifts that go along with his that can be used together in some way. The idea being that the gifts would be something that Dad and kids could have fun together with. It's been fun, and sometimes a little tricky to think of a new idea each year. The point has always been to have fun, and so far they've all had a good time with Father's Day. 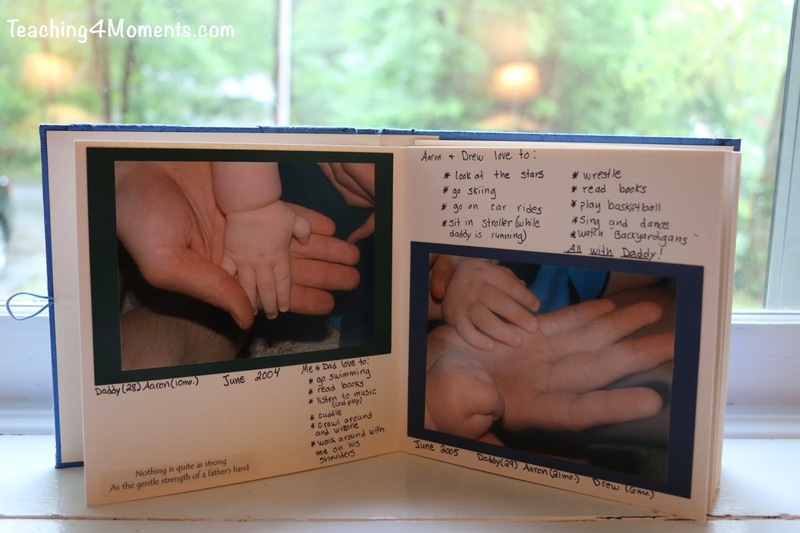 In the accordion style album I also try to jot down a few things about what the kids enjoy doing with Dad. It's been touching to see how those things have changed over the years. They're growing up too fast! 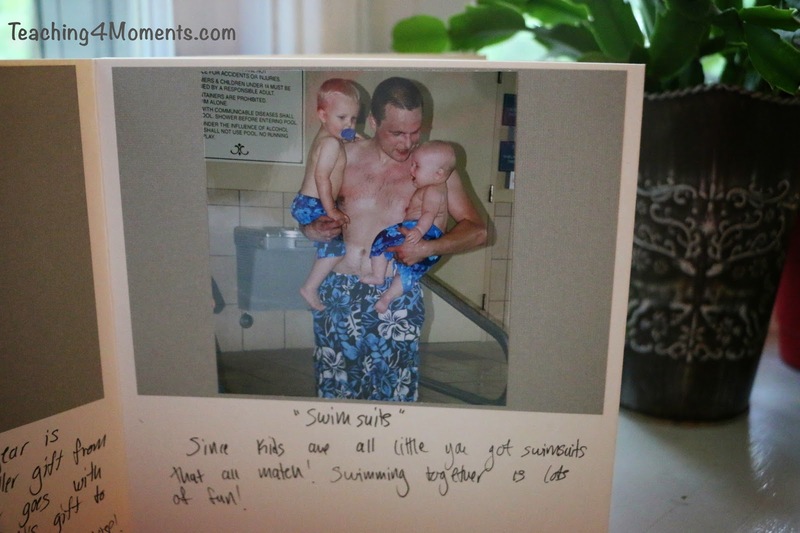 There are pictures all over these days of great ideas for Father's Day photography. 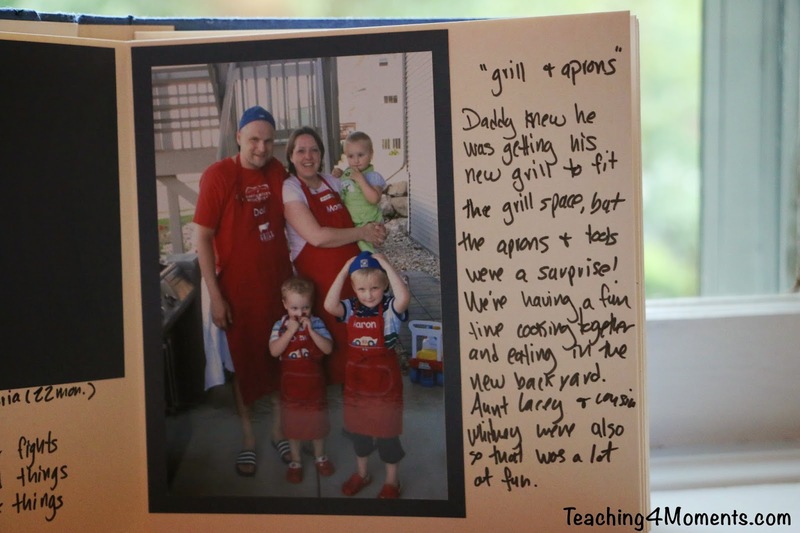 Meaningfulmama has some adorable examples! Check it out! This idea comes from Simplehomeblessing. I love it! Music has a special way of bringing out memories. Whatever you decide to do for your yearly tradition, remember that the most important part is to say, THANK YOU, and to enjoy being together. 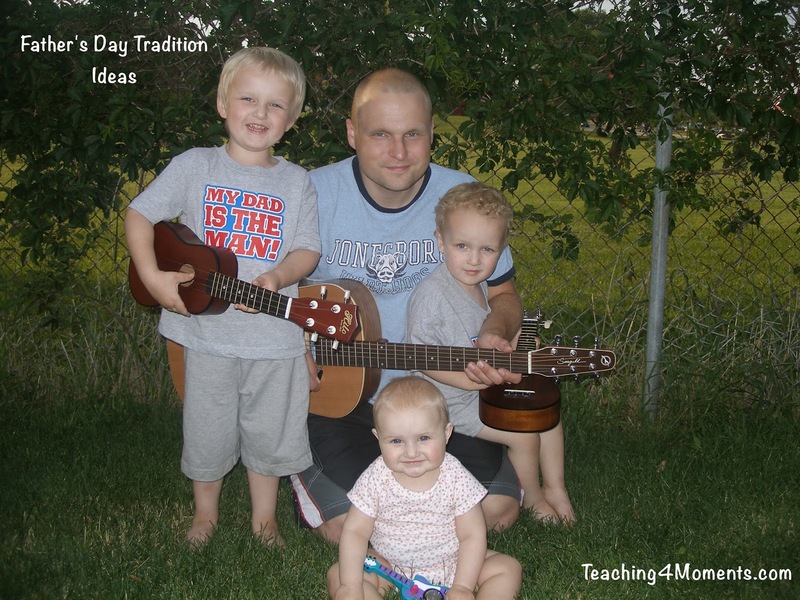 I hope this has inspired you to start a new tradition today!